Is it a crime to own a Siberian husky? 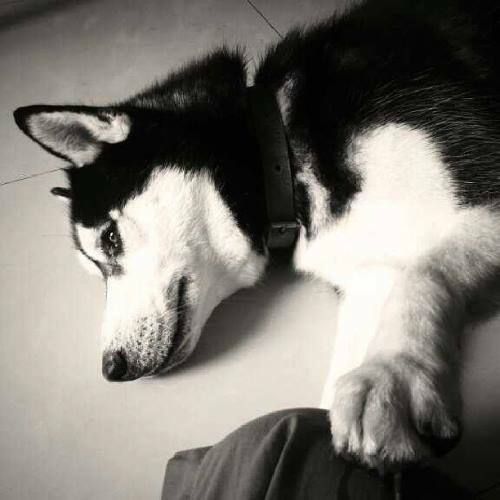 I was recently very hurt, surprised and shocked, when I recently got ear-marked for dog abuse – all for the crime of owning a Siberian husky. At Pets Stepin where on occasions I’ve put up my husky for boarding – I’ve seen other huskies happy and playful and the “husky owners” treated with respect not contempt. Individual attacks on husky owners will not solve the problem of Siberian huskies being bred in the tropics. Or for that matter solve the problem of irresponsible breeding of any other breed. Do you think it is responsible to breed GSDs with super-sloping hind legs so that they cease to be the active working dogs, but become show-prize winners for extreme angulation? Do you think it is ethical to breed bulldogs and pugs so that they carry over their plethora of health problems to the next generation? Or do you think it is necessary to over-breed Golden Retrievers to the point where breeders in Bangalore are finding it difficult to locate homes for their 6 month-plus puppies? What about eco-friendly breeds? I think everyone will agree that we need to promote the breeding of our native dogs. As much as the Rajapalayam, Chippiparai, Kombai and Kanni are great dogs and ideally suited to the climate of most cities in India – there is the question – Are you the right owner for a hound? Most sight-hounds are one-man dogs, and I’ve known a Rajapalayam to pine away and die when its owner left it for two weeks to the U.S. Also without proper socialization and when under-exercised, Rajapalayams like Dobermanns can turn vicious. Now, I think it would be near impossible to go up to each prospective husky owner and try and dissuade them from buying the breed. But what is possible is a social and political movement seeking to ban the breeding of huskies and other high-risk, high-maintenance dogs. 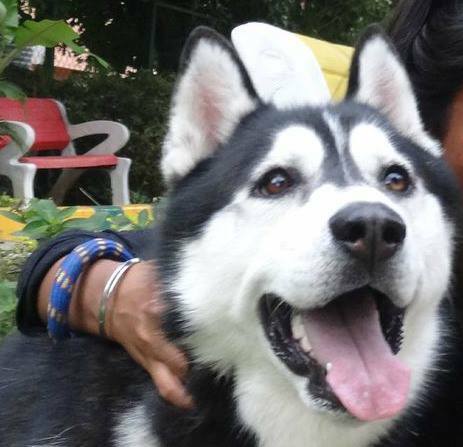 More serious than the husky (a gregarious, generous, child-loving soul) is the problem of breeding dogs that can turn vicious without an experienced handler. Dogs like the pit-bull terrior, Presa Canario, Neopolitan Mastiff, American bulldogs have actually killed or fatally injured people leading to their own deaths and outright bans in several countries. As individuals we can’t do anything about irresponsible breeding or the puppy mill. But the Kennel Club of India and the many animal welfare groups have the political clout and influence to get things done in the right direction. In India you cannot have a tiger in your bedroom like in the U.S. or organise hunting parties to shoot your pet big cats. We have a strong Wildlife Protection Act – that does not spare even celebrities. In the same vein, we can also try really hard to get a ban on the import and breeding of foreign dog breeds that might suffer in India! Otherwise it is very difficult to resist the appeal of a Siberian husky. They are the most handsomest creatures in the dog kingdom. They also have a heart of gold and are extremely good with babies and children. They are friendly, playful and highly-intelligent on top of which they are too beautiful for their own good. Pomeranians are such wonderful, friendly, generous and lovable creatures. Yet, I don’t why there is so much bad press about them that they are mean, little dogs, who shed truckloads of hair, bark, snap, bite and have bad tempers. 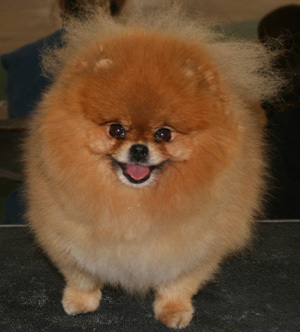 I have had one Pomeranian and associated with many of these creatures and have never once been bitten by these dogs or found them any less lovable. Pomeranians do have long hair and shed copious amounts of it during the summer. 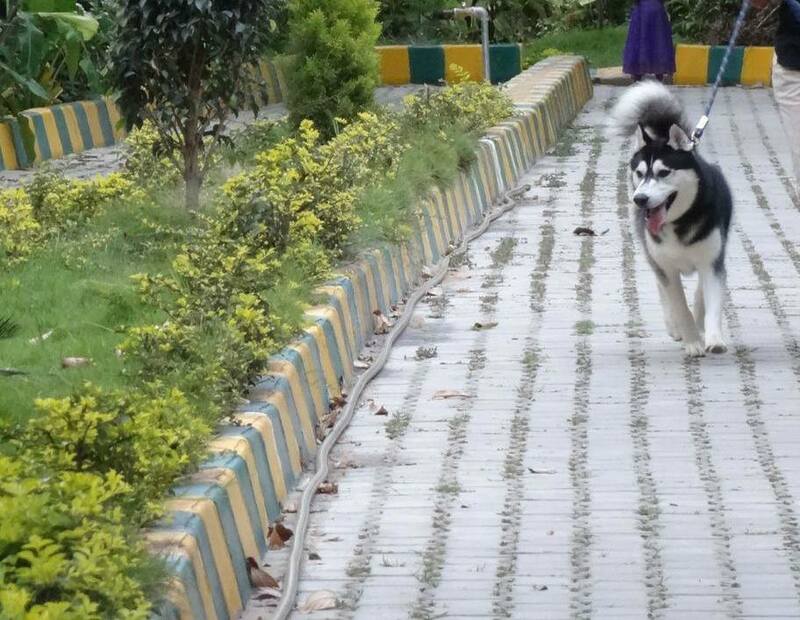 Since the breed is imported, it has never really got acclimatized to the Indian heat. I have known Pomeranians that have shed hair all round the year in India; because here the seasons are really not distinct and even during the monsoon the temperature is quite high and humid. We had a Spitz named Achu, which was also long-haired so experience speaks. If you don’t want the dog’s hair all over the place and circulating in the air every time you switch on the fan then you should groom it well. A good grooming every morning with a rough, big toothed comb and then another fine brushing with a smaller-toothed comb will ensure that you don’t have hair all over the place. Also the regular brushing increases the blood flow under the skin and keeps Ur dog’s hair shining and glossy. During the periods of high hair fall, you must brush the dog twice a day and try giving it a bath once a week to weed out dead hair. I grant it to you Pomeranians are high spirited creatures, but that is one of the characteristics of the breed. You wouldn’t want a sheep herding collie to suddenly start imitating a blood hound, would you? Alsations are versatile dogs; they can be guide dogs for the blind, deaf, therapy dogs, police dogs, sniffer dogs, army dogs and companion dogs. But not every dog can be a multi-tasker like the GSD. Dogs are bred for certain distinct purposes and there are inherent characteristics of the breed. Some dogs are one-man dogs or loners like the Afghan hound. 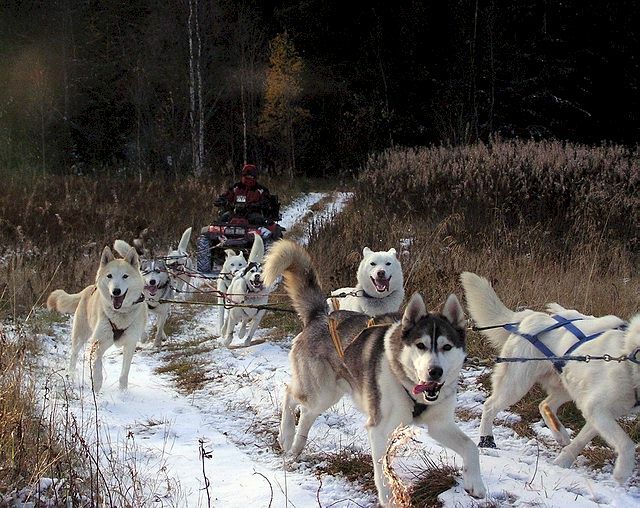 Others like the Siberian Husky, the Alaskan Malamute or the Samoyed excel in team work and are working dogs. But dogs never bark unless they want your attention, are upset about something or want to alert you. With its high spirits and intelligence, your average Pomeranian does get bored cooped up in the house. It will not lazily sink to complacency and fatness like the Labrador. When it doesn’t get any other avenue of expending its energy or when not properly socialized, it does bark a lot. That’s the owner’s fault, not the dog’s or the breed’s. Pomeranians are not irritable, unless you irritate them. How would you like it if some stranger on the street suddenly patted ur head? You will snap. And so will the dog. Never touch a dog because its wagging its tail at you. Dogs wag their tails when they are excited, curious and a little afraid. You must first let the dog sniff you and then place your hand on its chest or shoulders. Directly putting ur hand on its head, makes it fear ur trying to subdue it and it will retaliate or shy away. Its also seen as an act of dominance by the dog. The dog will also feel more comfortable, if you bend down to its level and pat it. 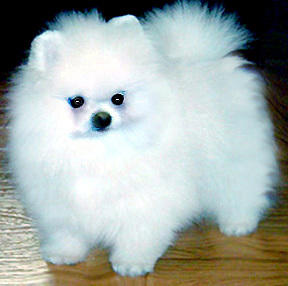 Most people seeing a nice, cute, pretty, little Pomeranian, forget its a live thing with feelings. They try squeezing it, carrying it and molly-coddling to its great displeasure. And when it snaps, they label all poms “small and mean.” Shucks! Su unfair! I have always wanted to own a Siberian Husky. There is something so graceful, upright and noble in its carriage and bearing. Unluckily, I have never been able to own the dog (since it comes with a Rs 1 lakh + price tag in India). Other than patting the few that come my way at the Chennai dog shows, I have not been able to really get close to my favourite dog breed. My first introduction to Huskies came while I was reading Call of the Wild by Jack London. The images the books conjured were spell-binding – beautiful, furry half-wolves, forging their way in the Arctic cold; furry feet running on soft snow, the struggle between civilisation and the wild. 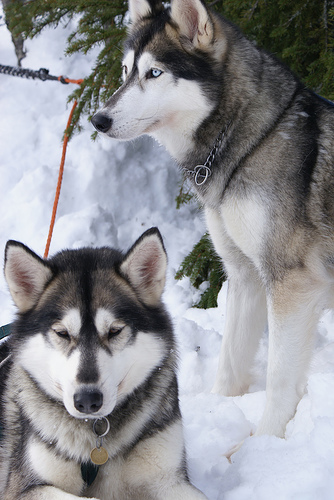 In the North, Siberian Huskies are primarily used as working dogs. They were used to ferry people and goods across the vast, white expanse of the Arctic pole. White Fang, was another book of Jack London’s in which Siberian Huskies figure; though the hero of the novel is actually a half-bred wolf. 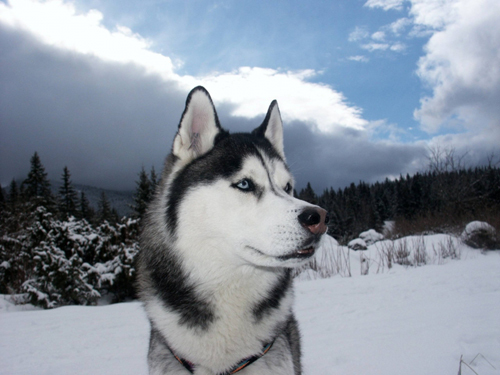 Now you might wonder what a dog, which was named Siberian Husky, was doing in Alaska? Well with the Nome Gold Rush in the US and Canada, many gold diggers used these dogs to pull sleds while they hunted for gold. But being the extremely handsome dog that it is, it soon became a show dog and a family pet. And that’s how the poor thing which was bred to battle the severe northern cold, found its way to tropical India. Go to any Indian dog show, and the richest idiot there will be sporting a Siberian Husky. So far the half-a-dozen Siberian huskies I have met at the Chennai dog shows, spent the whole three days of the event in their AC trailers. They stepped out for a brief 15 minutes at the show ring and for another brief 5 minutes to receive the awards before they were hustled back into their AC trailers. The poor things are carted all the way from Ooty (where again they are kept in royal seclusion in AC rooms during the summer) to attend the dog show in hot, dry Chennai. Many people accuse Pomeranians of being nasty and short tempered. Well, so would I be If I had long, thick lovely hair, ideal for the northern climes, but forced to live in Tamil Nadu; where even the native Rajapalayams, Chippiparais and Kannis feel the heat. All the spitz varities – Akita, Malamute, Keeshond, Laika, etc, have a wolfish look and are very handsome dogs. The first time I saw a Siberian Husky, I wondered if it had some kind of deficiency, but it was only later that I realised that pure-bred Huskies can have different coloured eyes. Accentuating its wolfish tendencies, this dog prefers to howl rather than bark. 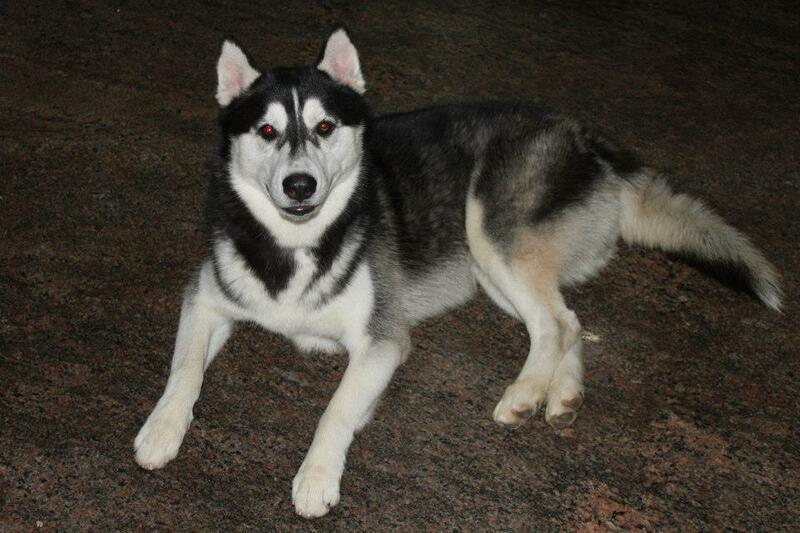 But there are also other issues which arise, for instance many people adopt huskies seeing its good looks. But if they don’t have the time and energy to keep their dog usefully engaged, this hyper-active dog can become destructive. This is the reason, why many Alsatians/German Shepherds (There is actually a very interesting story as to why GSDs came to be called Alsations) and Dalmatians, which owners initially choose for their good looks end up in dog homes. People don’t realise that working dogs can get easily bored and restless if they are cooped up in small flats without exercise. Siberian Huskies have also lost out on the dog-racing front to hybrid breeds like the Alaskan Husky, which are faster and have less hair. 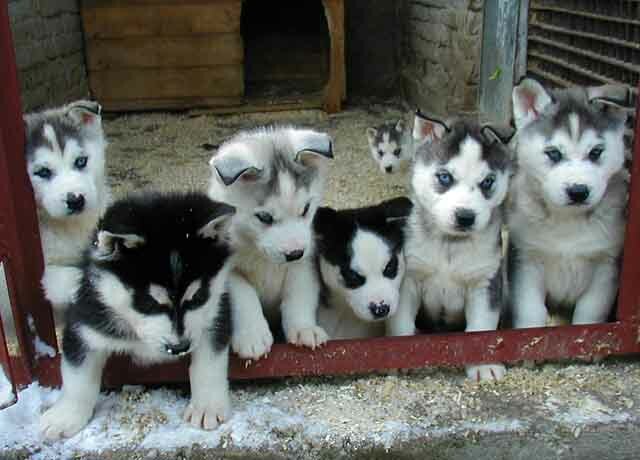 Nowadays you can spot the Siberian husky only in dog shows, recreational mushing or in homes. 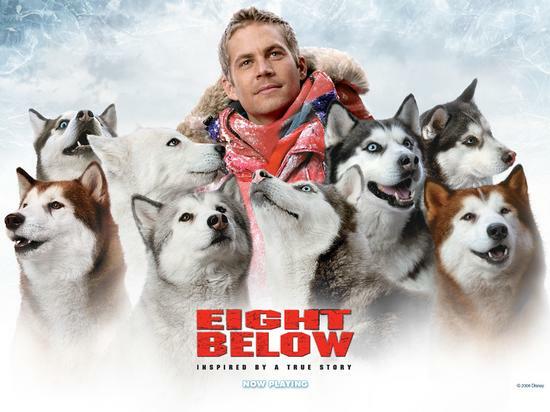 Watching Walt Disney’s Eight Below, I was again filled with longings for this beautiful dog of the snowy regions.